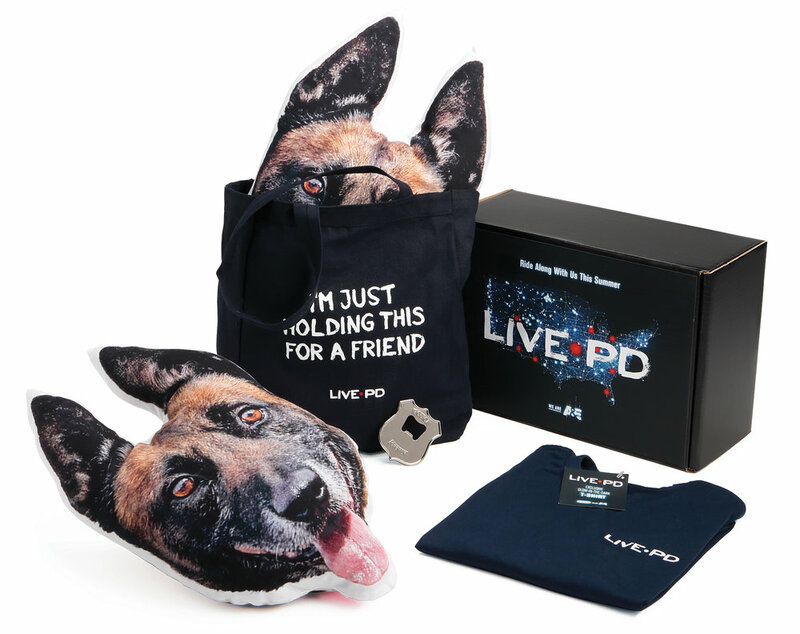 The kit was packaged in a printed tote bag that contained a tee shirt with glow-in-the-dark imprint and custom retail hang tag, aviator sunglasses, and a custom-shaped Flex pillow (Flex is the four-legged star at A&E's 'Live PD. '), so that viewers would have their very own K9 companion. Hanging from the tote bag was a Police badge-shaped bottle opener. Everything was packaged in a custom shipper box, filled with show literature and drop shipped to over 380 recipients.